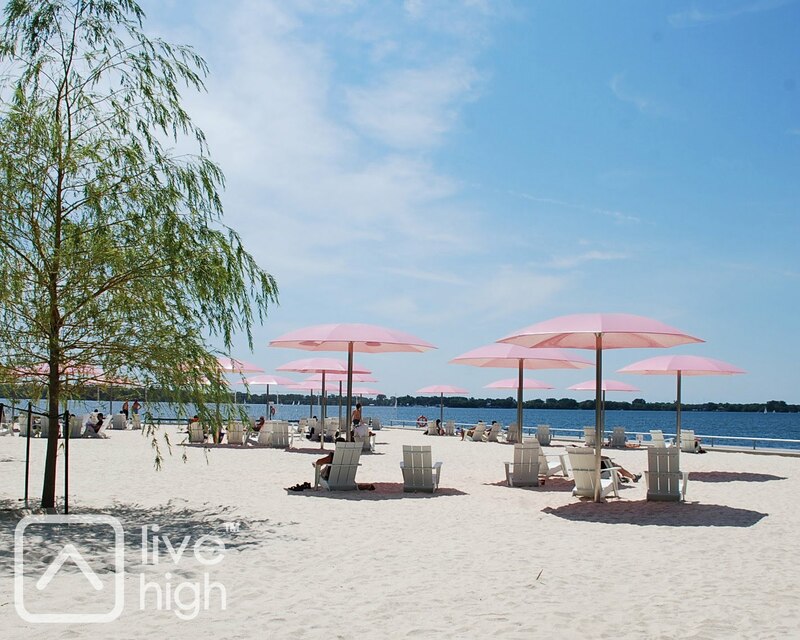 Condo News by LiveHigh.com: Another Urban Beach Marks a Great Milestone for Toronto! Another Urban Beach Marks a Great Milestone for Toronto! 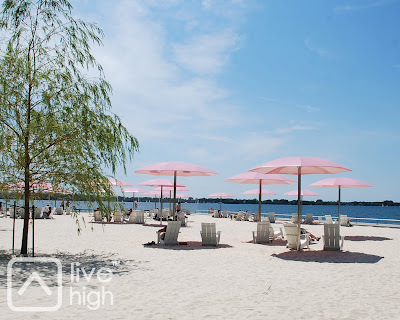 A perfect way to celebrate the summer heat, the official opening of Canada's Sugar Beach is slated for this coming Monday (August 9). While its official opening will surely garner more attention to its sandy beach, candy-striped rocks and gorgeous water views, Torontonians are already reveling in the delight of the city's latest gem. So what does this have to do with condos? 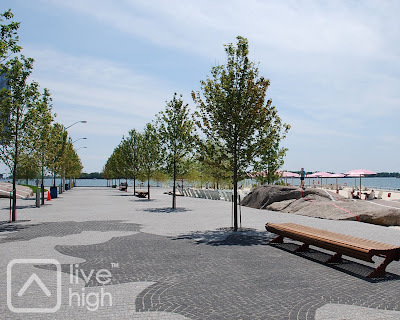 Sugar Beach is located downtown at the water's edge, just east of Jarvis St and across from the Redpath Sugar Factory. Its opening represents a milestone in the revitalization of East Bayfront. Alongside Sugar Beach, many other great developments are in the works including a signature park (Sherbourne Common), 6,000 residential units, and employment space to accommodate 8,000 jobs. 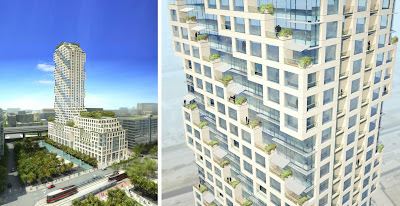 The latest update from Waterfront Toronto also anticipates a marketing launch for Parkside, a mixed-use development featuring residential, retail, office/employment and institutional spaces to open in 2011. 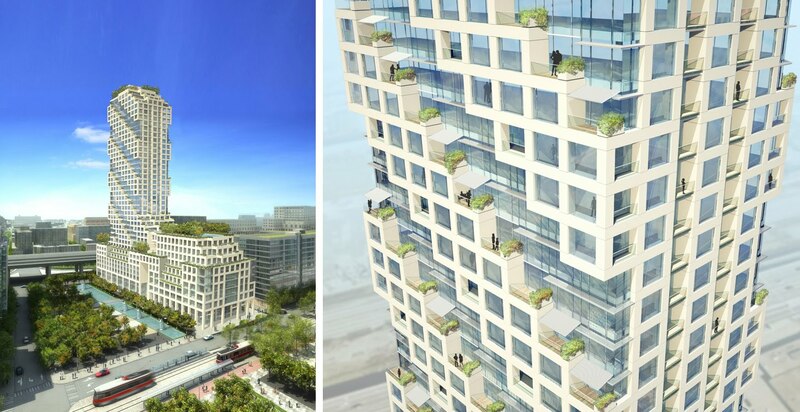 With Great Gulf Group of Companies selected as the developer, the development is centered on a design philosophy labeled "Gardens in the Sky". We'll be sure to keep you posted on the exciting progress of the East Bayfront revitalization. You'll also find updates for these projects on the Waterfront Toronto website: East Bayfront, Parkside Development and Sugar Beach. Photos and videos can be found after the jump!